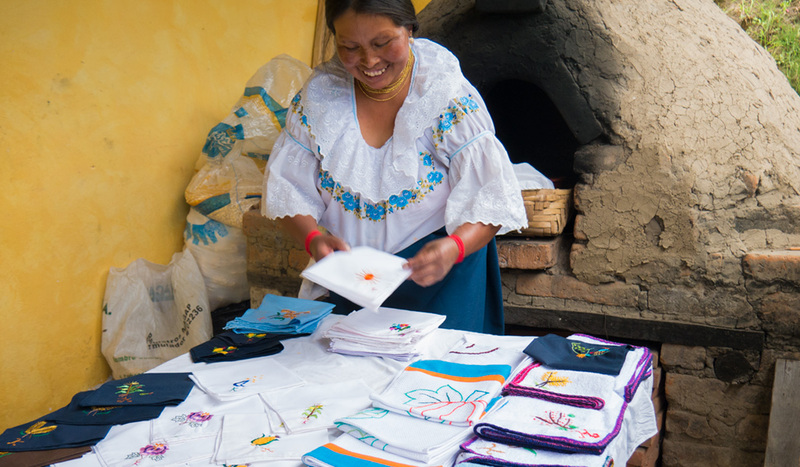 In Otavalo, embroidered art is still maintained as an integral part of culture, sewn by the creative hands of women entrepreneurs. María Rosa (Fuerez family mother) likewise stitches with this talent. Firmly with her needle, she combines colored silk threads onto the canvas cloth. She maintains the hand-sewn tradition that has always brought our blouses to life, while applying new creative techniques to other embroidery products. José María (Fuerez family father) also pitches in to the artistic process, contributing his knowledge of sewing on the foot-pedal machine, in order to make this dream possible. Our family has collaboratively been developing this art over the past 13 years, starting with our mother’s lessons that taught her daughters to embroider their own blouses. With the goal that visitors can appreciate this embroidery, and take home a part of our history and art, we have created hand-stitched and innovate products such as: hand and kitchen towels, napkins, handkerchiefs, blouses, change purses. 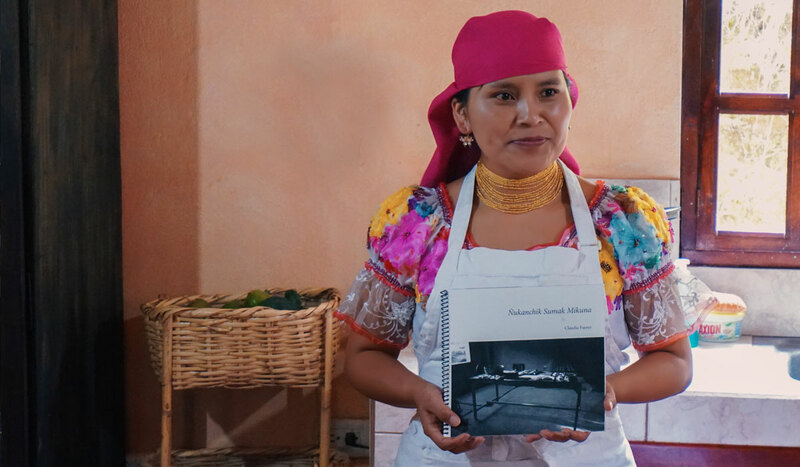 Kawsaymi aims to share the secrets of Otavalan cooking. 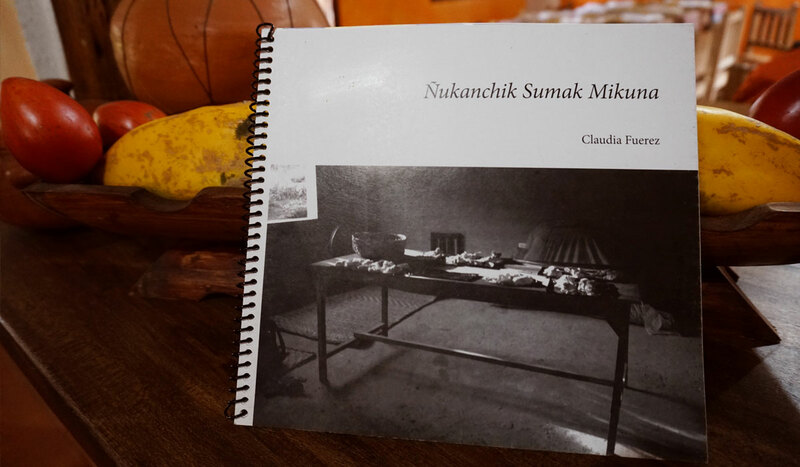 After an incredible experience of cooking and enjoying these traditional dishes, we offer you to take home our recipe book, “Sumak Mikuy,” which features over 15 Andean recipes written in both Spanish and English languages. This publication was accomplished in collaboration with the Tandana Foundation, who has supported our initiative since its beginnings.